ROH Terrain is a tough engineered wheel inspired by the Dakar Rally and the latest addition to the ROH range of Dakar Proven wheels. ROH Terrain is a tough engineered design inspired by the Dakar Rally and is the latest addition to the ROH range of Dakar Proven wheels. Available in 16x7 , 16x8 and newly released 17x8 Terrain comes in a stylish satin black diamond-machined finish. 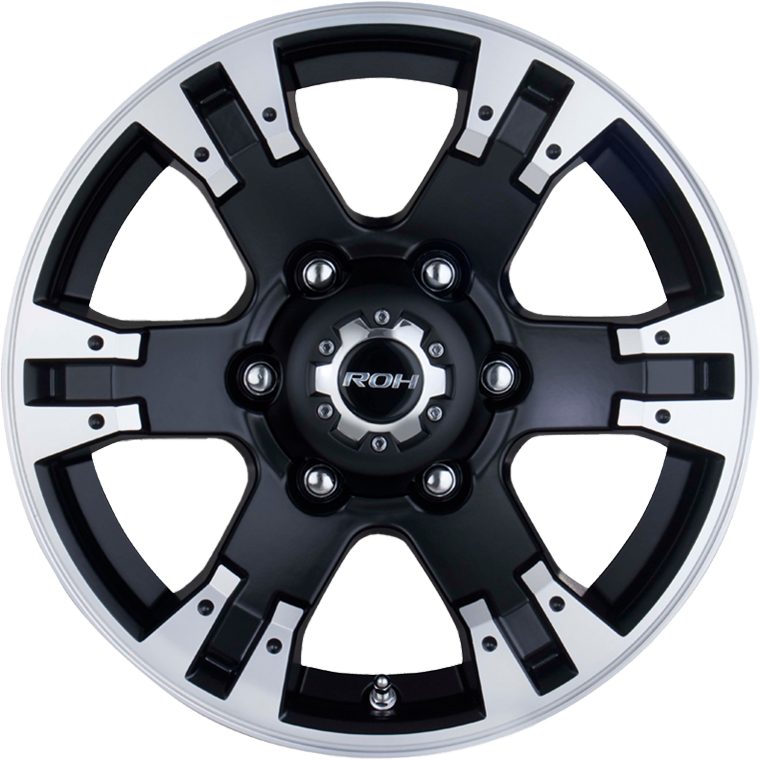 This all-terrain wheel surpasses the Australian standards for off-road wheel performance and is suitable for all positive offset applications including Toyota HiLux, Mitsubishi Triton and Ford Ranger to name but a few. Ask for ROH Dakar Proven Wheels.